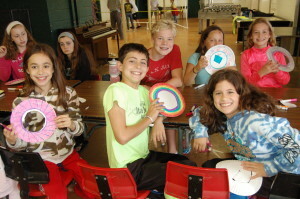 Campers engage in a variety of choice activities that are unique to camp. Your child may engage in the following activities and many more. Archery is one of our most popular activities today! Campers learn safety and technique from certified instructors on our range, and grow in confidence with each bull’s eye. Our popular Arts and Crafts activities allow campers to get creative with projects including drawing, painting, jewelry and bracelet making, eco-crafts, and more! Getting on stage can be very intimidating, but when campers conquer their fears and express themselves on stage, they learn the value of practice and gain confidence. Dramatic games, poetry writing, and music appreciation are some of the popular activities. The outdoor stage is also where campers prepare a production and present it to the whole camp at the Tuesday night skit show. The riding program is included in tuition and is open to all campers, regardless of experience. Campers that sign up for the week will ride at least once during the week. Instructions and trail rides are given from our qualified staff, and all riders are required to wear safety helmets, long pants and closed-toed shoes. 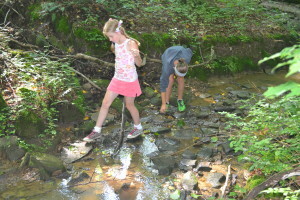 With 572 acres of streams, woods and scenic hills, camp is an ideal natural classroom. Every camper can participate in the Nature Program, learning about local plants and animals as well as environmental topics in a hands-on setting. They walk our wooded trails, learning about local flora and fauna, go fishing, learn about the importance of water, and have even been known to whip up treats. Although Hidden Hollow is a traditional camp and encourages campers to try the many activities we have to offer, all of our campers can participate in swimming lessons with qualified instructors and lifeguards. Our Waterfront staff focuses on safety, skills, and confidence in the water, so whether campers swim competitively or are jumping in for the first time, it’s guaranteed to be a blast. Grab a paddle, a life jacket, and a friend or two and climb aboard! We offer instruction in non-motorized watercraft including canoeing, kayaking and paddle-boats. Two lifeguards and spotters supervise campers as they learn about teamwork and the importance of communication with fellow campers. 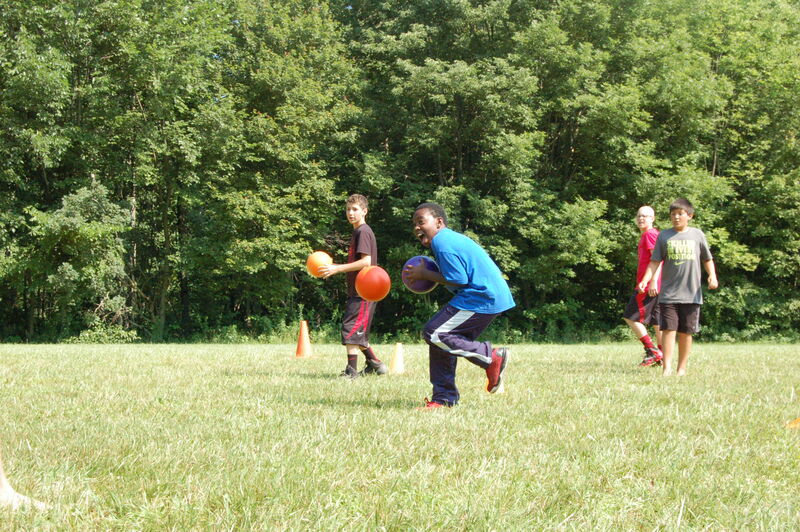 While we aren’t a sports camp, we offer a multitude of team and individual sports. We offer classics like tennis, basketball, kickball, volleyball, soccer and ultimate Frisbee. There is something for everyone. In Woodshop, campers are empowered by creating projects from scratch: they design, cut, sand, build, and paint with close supervision and guidance from counselors, and always go home with something beautiful. 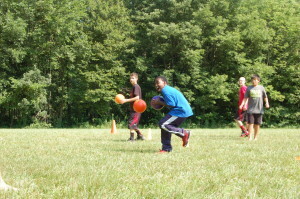 Outside of our program areas, campers can explore their own hobbies or try new ones with their friends and cabin mates. From board games and four square to campfires and the weekly Friday night dance, there is always something to do and memories to be made.